More and more people are becoming interested in the digital IRA. It provides them with an opportunity to include digital currencies, cryptocurrencies, into their self-directed retirement accounts. The news is constantly full of discussions about cryptocurrencies increasing in value, so it makes sense to invest in them. But by doing so, you also help society as a whole. Consider for a minute what is involved in transferring paper money. Imagine that a business has a safe full of money and wants to make sure this is stored in a bank period attract and has to come to this business, place all the money in that truck, transported to the chosen bank, unload it, pay for the gas of needed for their transport, pay for themselves, and so on. Essentially, this means that business has to pay money to have money. Besides transporting physical money, they may also want to transfer it between different currencies. This requires quite a lot of time with regular currencies. First, you will have to bring the money in the currency you already have to an exchange location and swap it for the currency that you need. Thanks to digital technology, some of this can also be done electronically, but it still takes a lot of time. Then, there is the fact that fiat money burns. You come quite literally take the money out of your pocket and set It on Fire. It is unlikely that someone would do this but the point is that you can tamper with actual money. That is easy to lose, it can be torn to shreds, it’s going to be burned, it can be thrown at other, and so on. Now that you see some of the clearest problems of regular money, you might also start to understand why cryptocurrencies are so important. While there are many different cryptocurrencies to choose from, is going to take as little as 4 seconds to pay for an international transaction. There is no need for you to convert between different currencies nor is there any need to wait for this to have been completed. You also don’t have to worry about accidentally dropping your wallet on the street. There is no weight to cryptocurrencies, which is also a nice benefits if you have ever walked around with a pocket full of change. From both a practical and a utilitarian point of view, cryptocurrency is the 21st century money. It seems that we have finally evolved the way we manage our money. No longer do we take a piece of metal come out and boss it was a pretty picture, and then say that it is worth a certain amount just because it looks good. 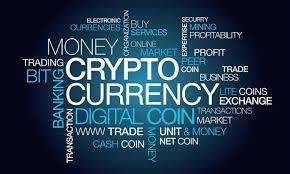 With cryptocurrency, the money is worth what we, as the consumer, believe it to be worth. No central banks, no government intervention, just people making their own decisions.